The Original P.W.A.H® provides effective relief from chronic ear pain, pressure sores and CNH. It also promotes faster healing after ear surgery and piercings. Recommended by hospitals across the United Kingdom; we are proud to say that our pillows are helping thousands of people across the globe. Made in England, dispatched to the world. 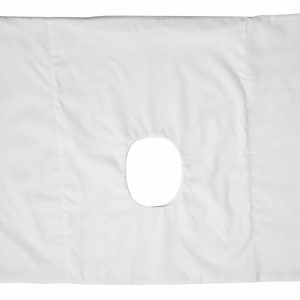 Why a pillow with a hole? 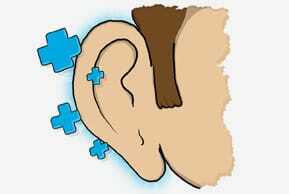 The Original P.W.A.H® is a tried and tested treatment for ear pain, pressure sores and CNH. CNH typically resolves within two weeks of using our pillows. The Original P.W.A.H® is designed not only to ease pain and treat pressure sores, but to speed up recovery after surgery. All of our pillows are and always will be made in England from high quality materials. This pillow is portable and durable. Ideal for travel. I had a sore on the top of my ear for three years, told to use Hydrocortisone cream by GP with little effect, have been using one of your pillows for about six weeks now and the sore has healed beautifully. Thank you. It’s a simple but marvellous invention! I received my pillow 2 days ago and already it has changed my life. For years now I’ve put off doing anything about my sleepless nights because no one seemed to know what my problem was and I cant believe I didn’t come across this sooner. The pillow is the best money I’ve spent in a long time. I’ve only had it 2 nights and for the first time since i can remember, I’ve slept all the way through the night and felt so refreshed the next morning with no constant nagging ear pain through out the day either. Thank you so much, you’ve literally saved me!! Your pillow has worked miracles! My mom has been sleeping on her “pillow-with-a-hole” for a few weeks and her ear that has had an open sore for over one year is almost completely healed. Thank you so much! P.S. 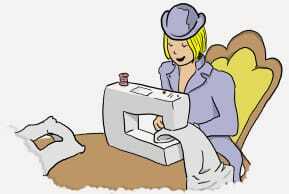 The pillow and pillow case are beautifully sewn from lovely soft fabric (very comfy). 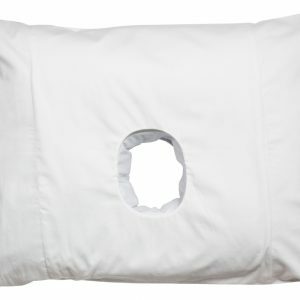 The Original Pillow with a Hole was created by us based on our own experience of chronic ear pain. 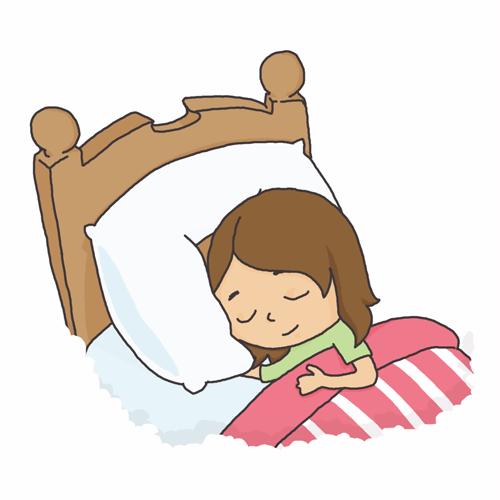 We know what it is to suffer nightly from lack of sleep and terrible pain, and so we created a solution. And what an effective solution it turned out to be. Recommended by doctors across the UK and a supplier to our National Health Service, The Original P.W.A.H® works by removing the source of pressure and friction from the ear. This simple intervention effectively cures long-term conditions such as pressure sores and CNH without the need for costly creams or surgery. Please take a look at our testimonials to read about the life-changing successes enjoyed by our customers. 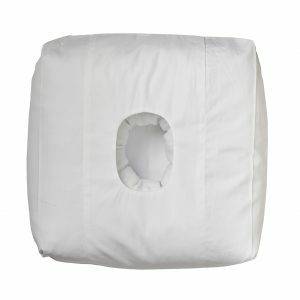 All of our pillows are made to order. Furthermore; they are and always will be made in England from high quality materials. The Original P.W.A.H® comes with a full refund guarantee. If you are not satisfied, return it to us within 14 days of receipt, in any condition, and we will refund you.